Between Two Cities is a board game set in the early 19th century during a period of great urbanization and expansion. As a master city planner, you have been asked to redesign two cities - but have also been paired with a partner to collaborate on your designs. 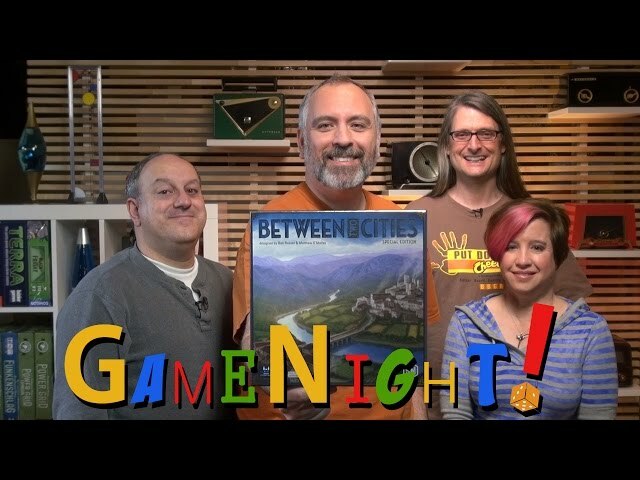 In Between Two Cities, players are partnered with the players to their left and right to collaboratively try and design a city by drafting tiles and placing them in your city. Factories, landmarks, and parks are all part of your grand design - but only one pair of players can win, and of your two cities the lowest scoring one is the one that will be chosen. The game also comes with a 2 player head to head variant, as well as solo play. Buy Between Two Cities if you want a fast game that supports a large variety of player counts and a unique partnership mechanic that drives player interaction like no other game.